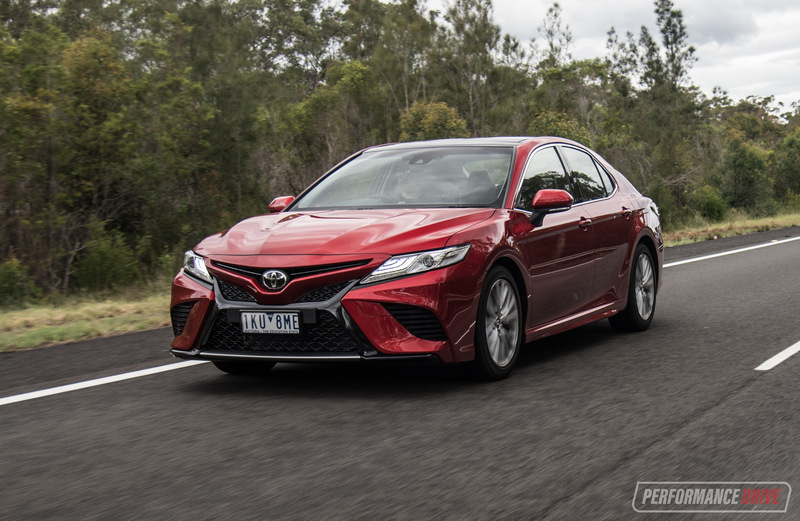 For several decades now, the Toyota Camry has been a staple part of the brand’s range and a solid pillar of its reliability and trouble-free motoring philosophy. 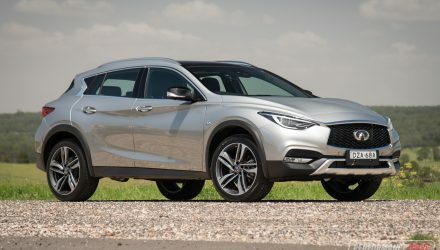 Each successive generation has seen cosmetic changes, but only incremental mechanical changes – a risk-averse approach that resulted in a decent reliable car, but never an exciting one. 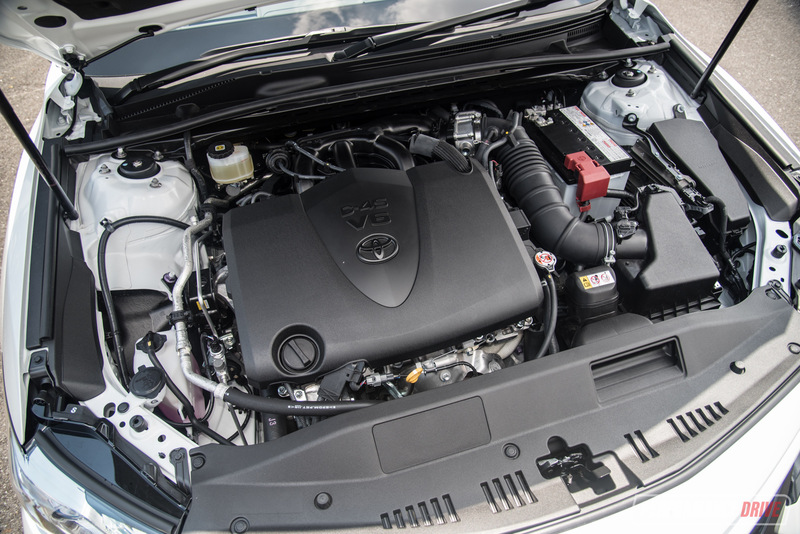 The 2018 Toyota Camry throws that rulebook into the mulcher, with the most comprehensive update in the car’s history. 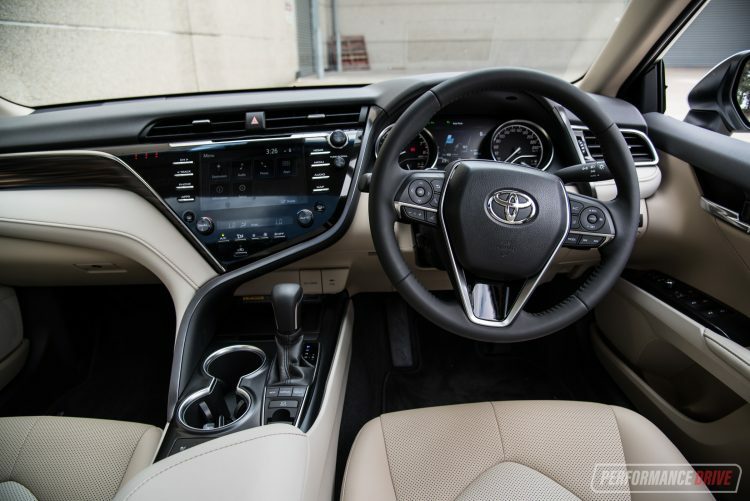 It switches to the new Toyota New Global Architecture (TNGA) platform, which has also transformed the Prius and C-HR into great cars to drive. 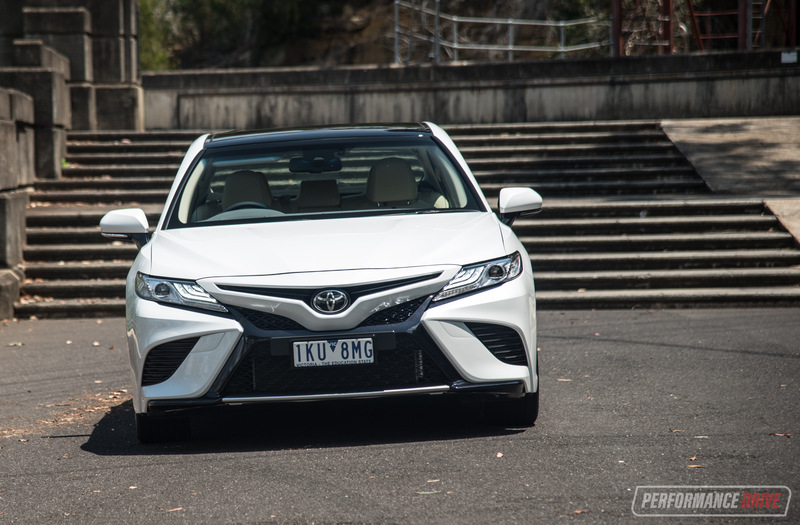 Crucially, this is also the first Camry since the 1980s to be fully imported from Japan, rather than assembled here in Australia. 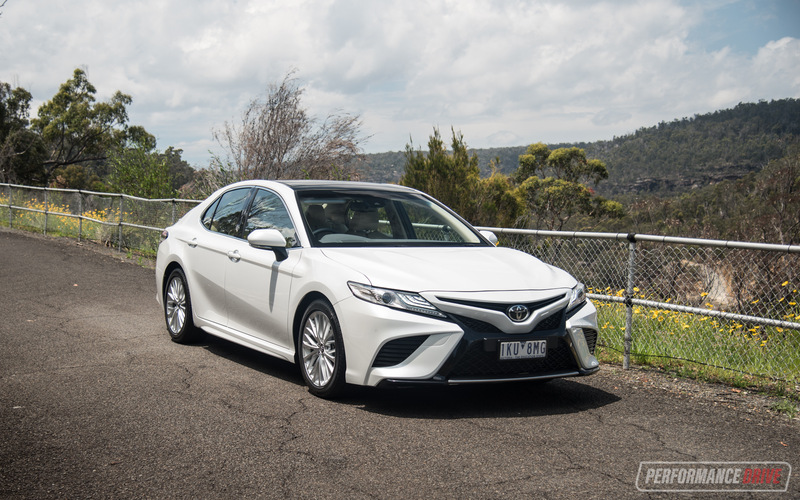 We borrowed the new 2.5-litre version and the V6 in range-topping SL guise to determine if the Camry is still suitable for local conditions and whether or not Toyota has capitalised on the all-new platform to see if this is finally a new Camry where excitement is justified. The 2018 Camry SL is 4905mm long, 1840mm wide, 1445mm tall and sits on a 2825mm wheelbase, which is 50mm longer than its predecessor. The car is 25mm lower with the trailing edge of the bonnet some 40mm lower for a more planted feel. 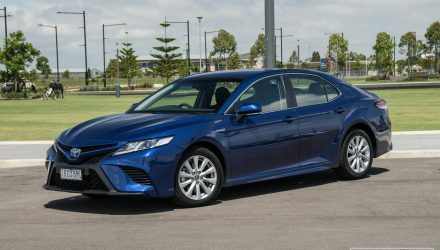 The new platform is 30 per cent stiffer, with new suspension geometry front and rear aimed at delivering a driving experience unfamiliar to Camry buyers. Improvements in steering and braking are also promised, with larger disc rotors front and rear. An electronic park brake does away with the daggy foot-operated item in the old one. 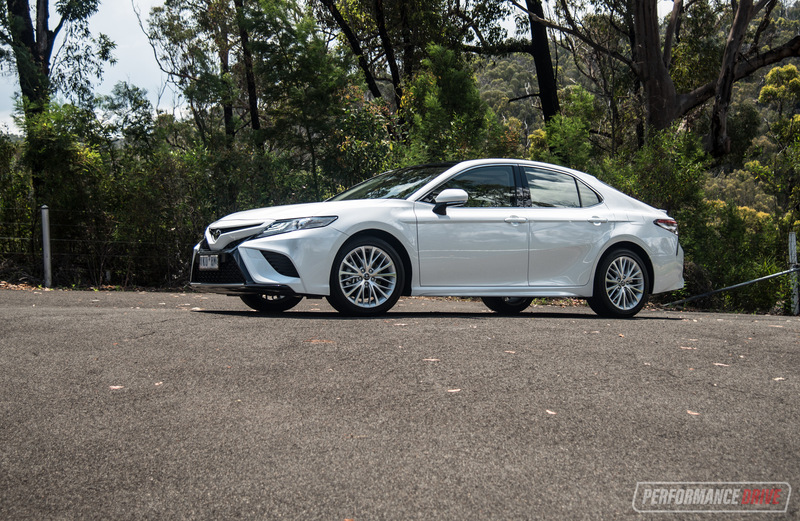 Exterior styling is much sleeker and more cohesive than the outgoing Camry, let alone the boxy Aurion. The complex creases add modernity and obviously benefit from contemporary stamping techniques. 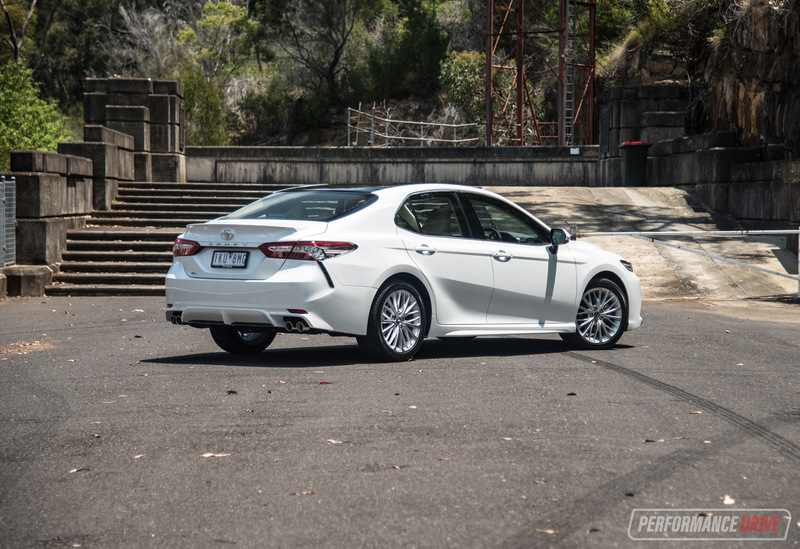 Instead of grandad wearing an Adidas jumpsuit, the new Camry is genuinely more athletic, although quad pipes on the four-cylinder SL are a bit much. 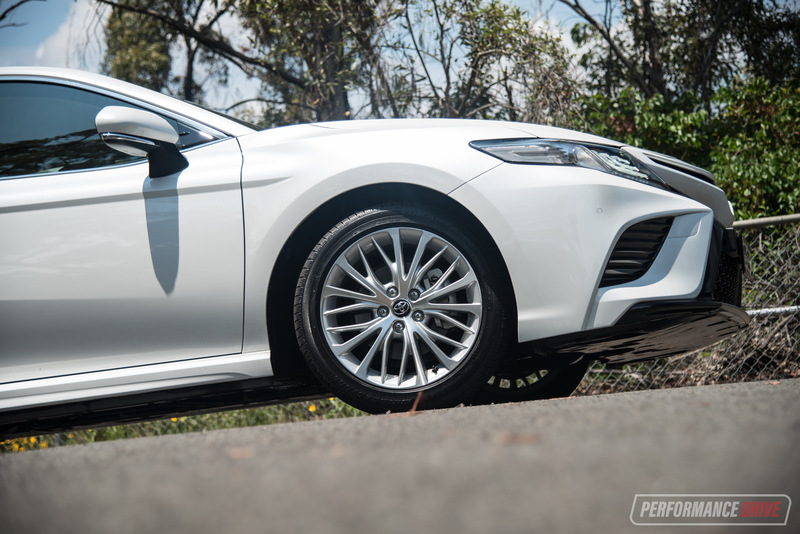 19-inch rims are the largest fitted to a standard Camry and set off the sporting touches well, but we wouldn’t mind the black-out floating roof option afforded to US-spec Camrys. 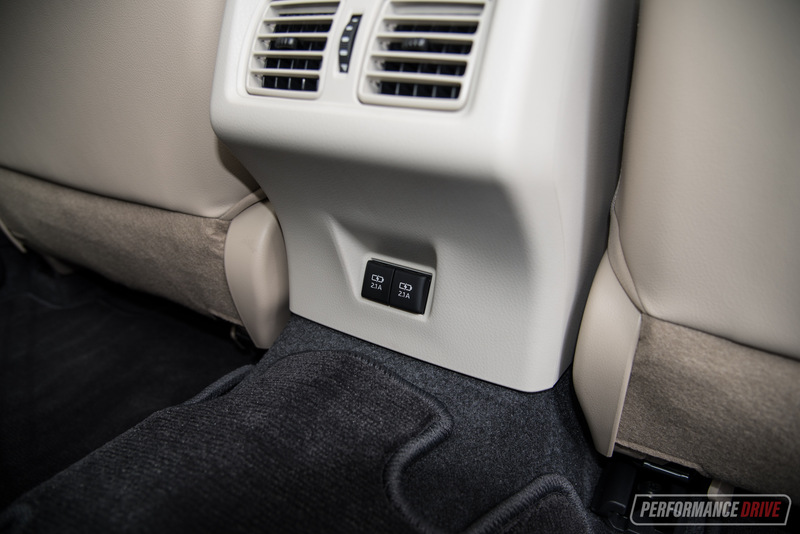 Camry’s new interior is a shockingly premium environment. Far more so than we were expecting and enough to make Lexus salespeople tug at their collars. Design, material quality and features have all taken a huge leap forward. 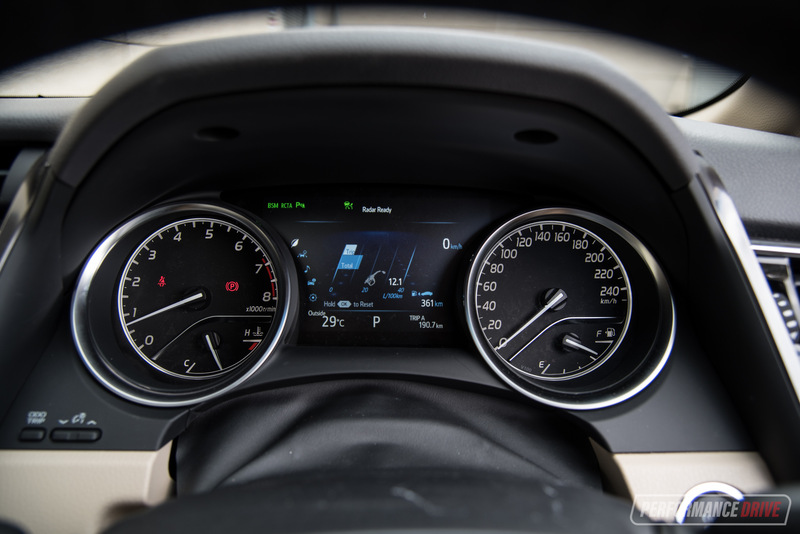 The new instrument cluster with its larger driver info display and the 10-inch head-up display are very modern, particularly the animations for sat-nav directions. Although, the effectiveness of the HUD suffers when the driver wears sunglasses. One thing we enjoy about the new electrical architecture is being prompted to close the windows from the steering wheel when speed increases. 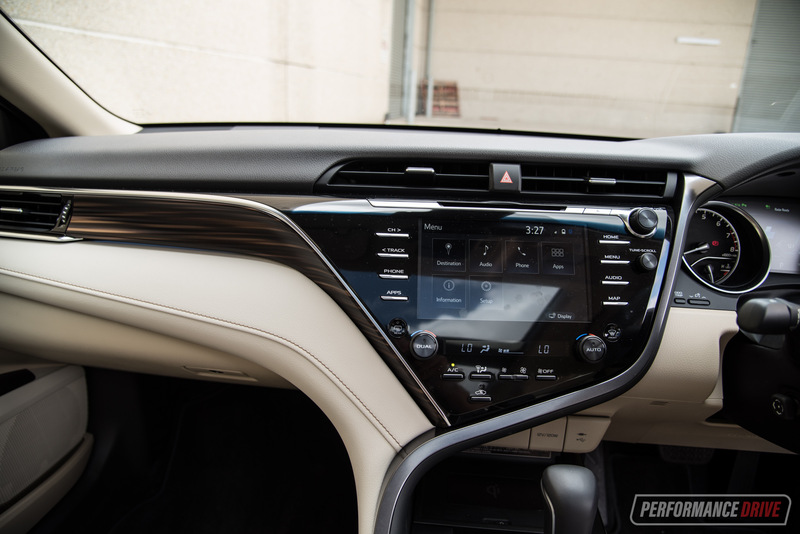 The 8.0-inch touch-screen is logical enough to manipulate via your fingertips, main menu buttons and steering wheel controls, but the navigation system can lead you on a wild goose chase and add stress to your day. The lack of Apple CarPlay or Android Auto availability means using Google Maps is a distracting affair. 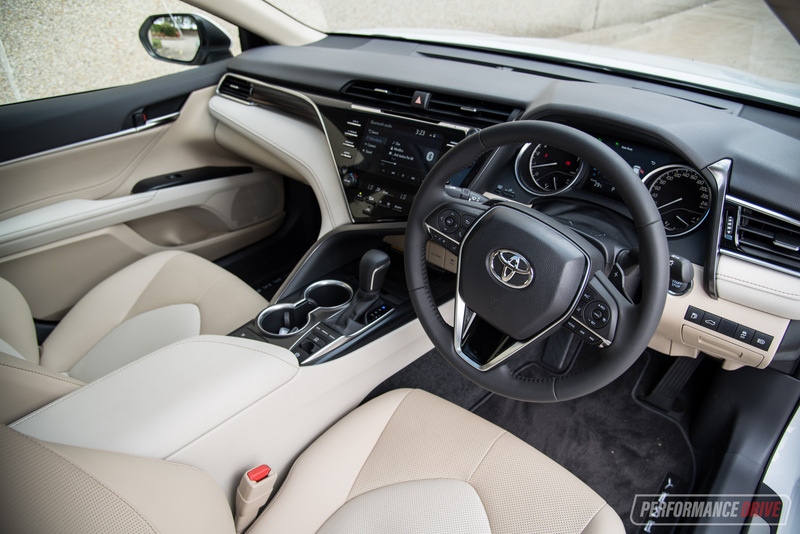 Seat cooling and huge panoramic sunroof elevate the Camry SL to new levels, as does the interesting bronze trim panel and leather stitching that sweeps across the passenger side. A calming, luxurious environment to be sure. 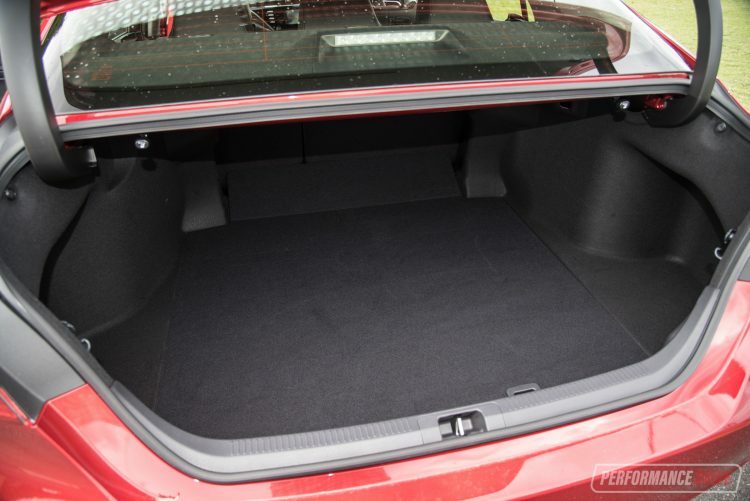 One notable omission is the electric rear sunshade that was standard on the Aurion Presara, but the electric steering rack that automatically moves to let you in and out is very Lexus-y. The boot is now 524 litres with the relocation of the Hybrid’s battery allowing better use of the split-fold mechanism for the rear seats on those models. Towing capacity of 1600kg (braked) is respectable, with the added bonus of trailer-sway mitigation. 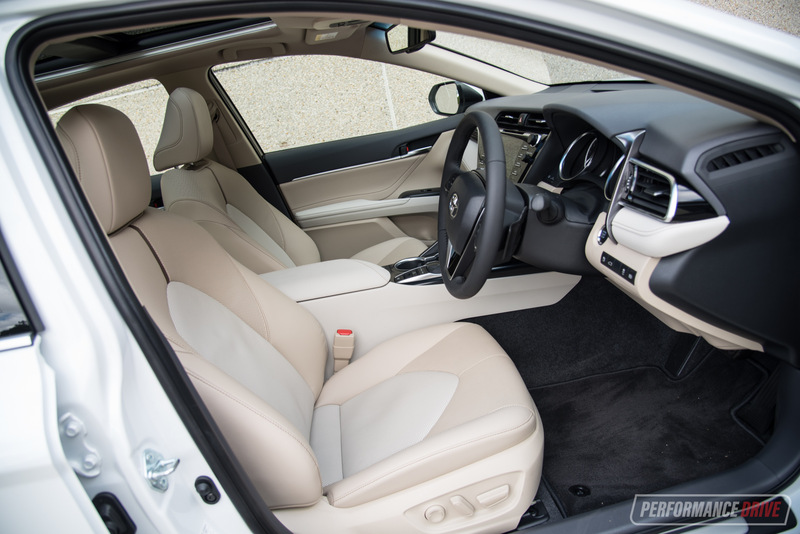 Many new safety features include autonomous emergency braking across the board, lane departure warning, with the SL equipped with adaptive cruise, and rear cross-traffic alert. 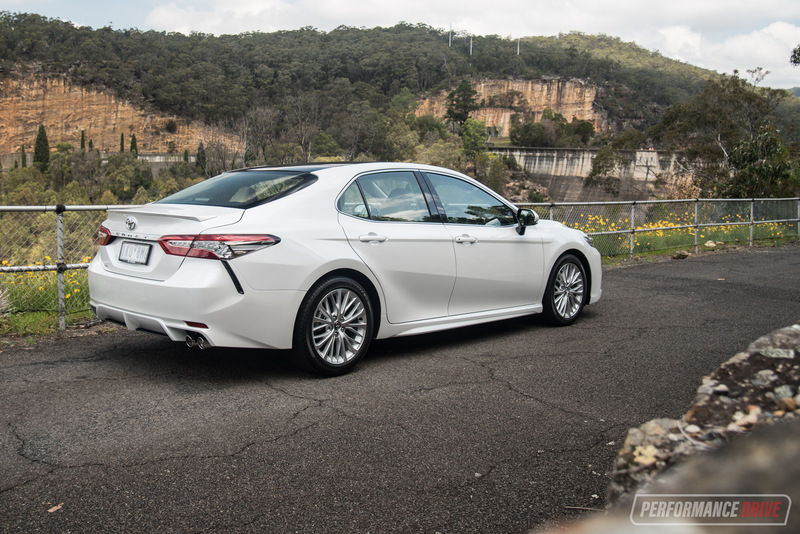 The Camry performed very well in recent ANCAP crash tests, scoring a high numerical score and a five-star rating. The car is heavier than its predecessor, so most of the engine lineup has been revised. 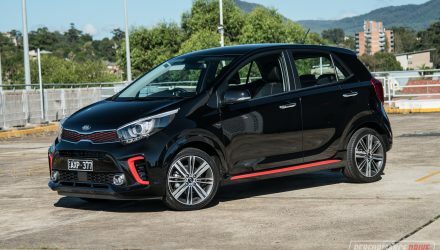 The 2GR V6 is a favourite of ours, and thanks to the addition of port and direct injection, now generates 224kW at 6600rpm and a beefy 362Nm at 4700Nm. 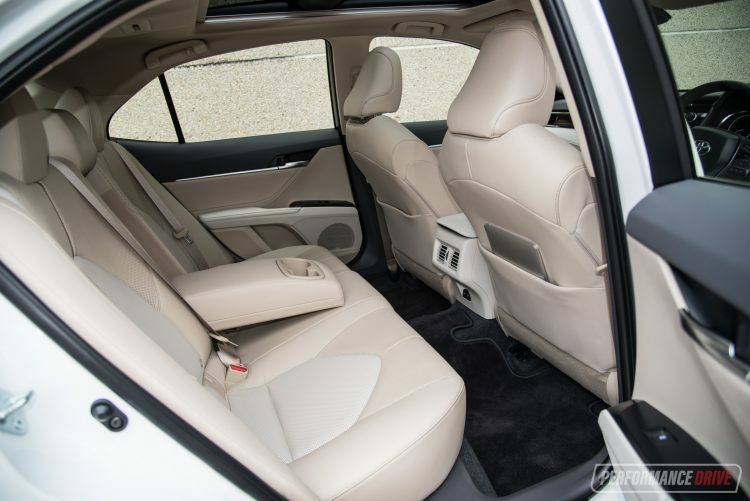 It is attached to a new eight-speed automatic gearbox with front-wheel drive. 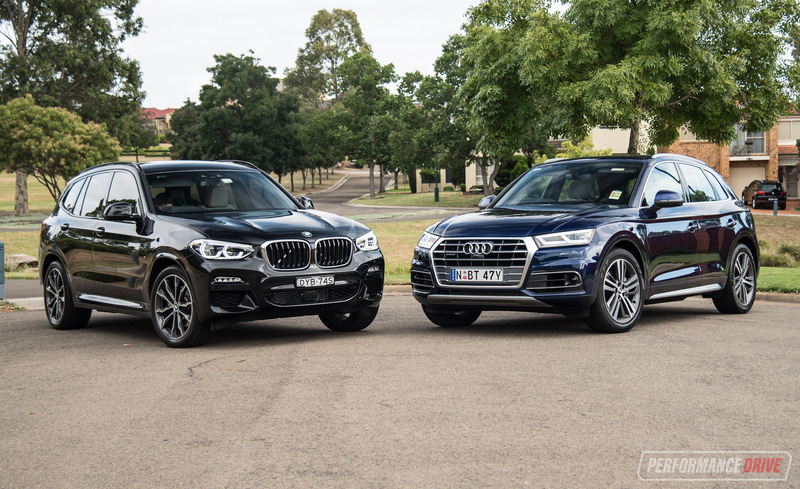 We’re also sampling the four-cylinder, which curiously soldiers on with the 135kW and 235Nm 2AR-FE and six-speed auto combo of the outgoing model. 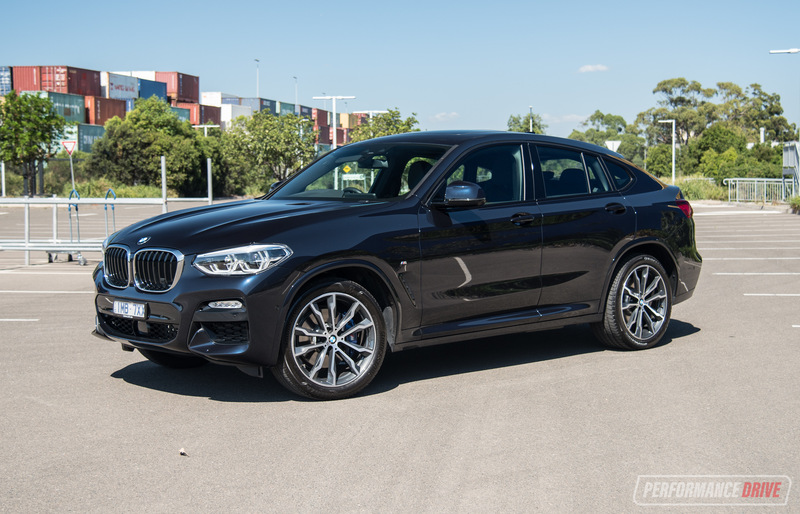 This is a curious decision, considering the availability of the new ‘Dynamic Force’ four-cylinder overseas, with 155kW and 250Nm and the eight-speed auto. Perhaps cost was a consideration, with the base Ascent starting from a bargain price of $27,690. 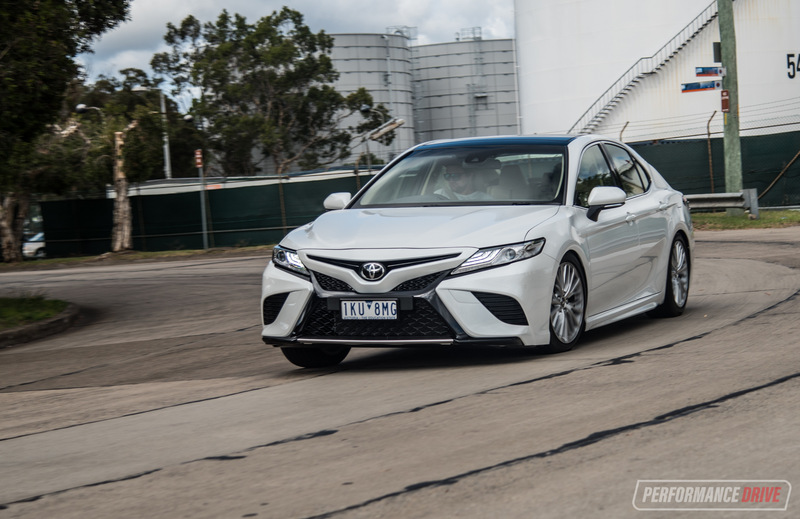 The 2018 Camry Hybrid has come in for significant attention too, with an Atkinson Cycle version of the Dynamic Force engine, developing 131kW/221Nm and combining with an 88kW/202Nm electric motor for a nominal output of 160kW. We will have to wait for some wheel time with that one, though, scheduled early in 2018. Average fuel consumption tumbles to 4.2L/100km, which new car buyers and taxi operators alike will no doubt appreciate. 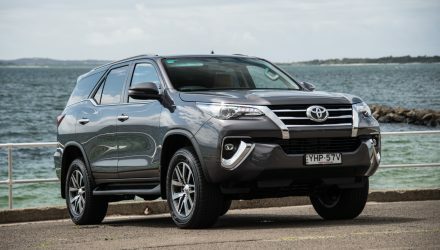 $195 capped-pricing for the first five services, with 12-month intervals is reassurance that Toyota has not lost its way in this department, either. For once, believe the hype. This is a substantially improved Camry with all the dynamic rough edges of its predecessors smoothed out. The body feels more solid than ever before, and the suspension is now working with you rather than just along for the ride. It is a much nicer car to drive than before. Accommodation in all five seats is much improved, with the car overall feeling much larger. 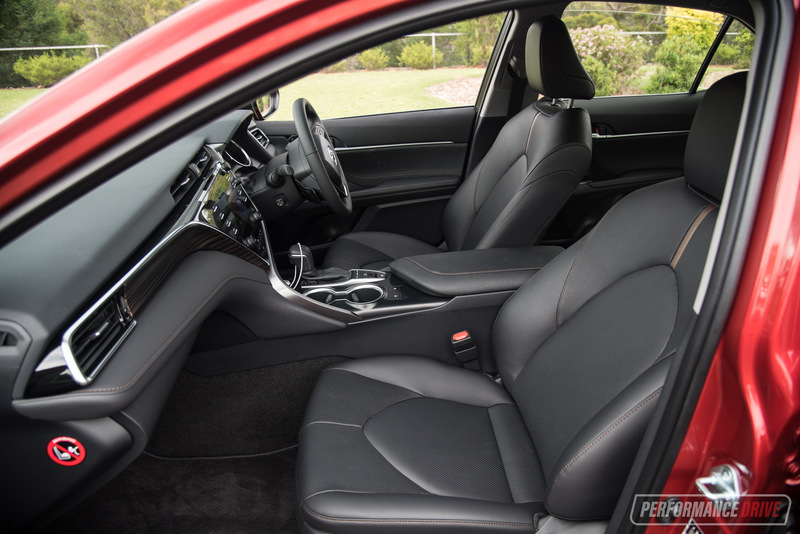 Former Falcon and Commodore customers definitely won’t feel short-changed in this department and will appreciate the more substantial feel of the new Camry. 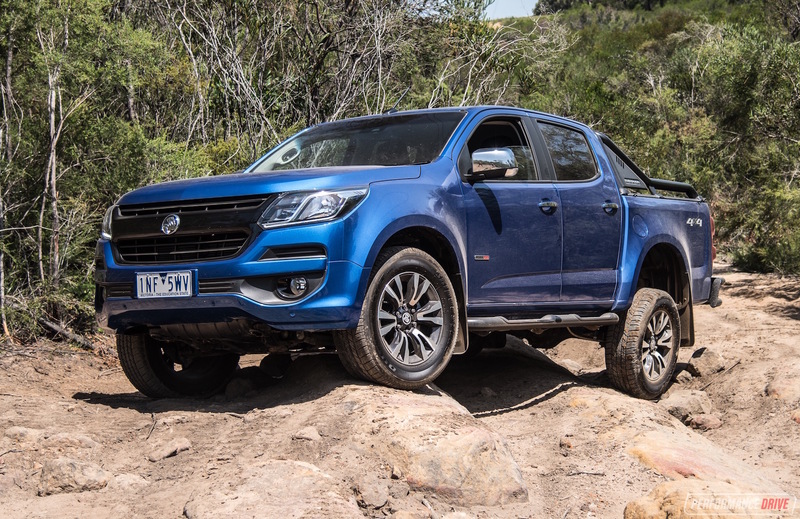 While the SL-spec has softer suspension bias than the previous Atara and Presara equivalents, there is no wallow, pitch, reluctance to change direction or, most importantly on the V6, torque steer. 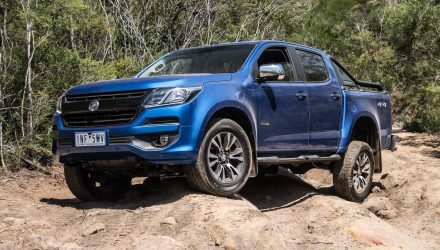 This is a revelation considering the sheer aggression with which the V6 Aurion’s tiller used to frenetically arm-wrestle you under acceleration. 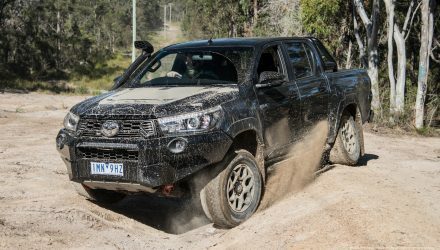 The biggest signpost of progress here is the fact that you can turn traction and vehicle stability control off – this was not easily possible in the old version and shows how much confidence Toyota has in the new platform. Refinement has come a long way, with excellent bump absorption no matter what amplitude it encounters. The only indication that you’re not in a Lexus is less sound-deadening through the carpet and slightly more wind noise from the mirrors. The extra length of the Ascent Sport, SX and SL’s bodykit creates plenty of nasty scrapes on driveways, though. 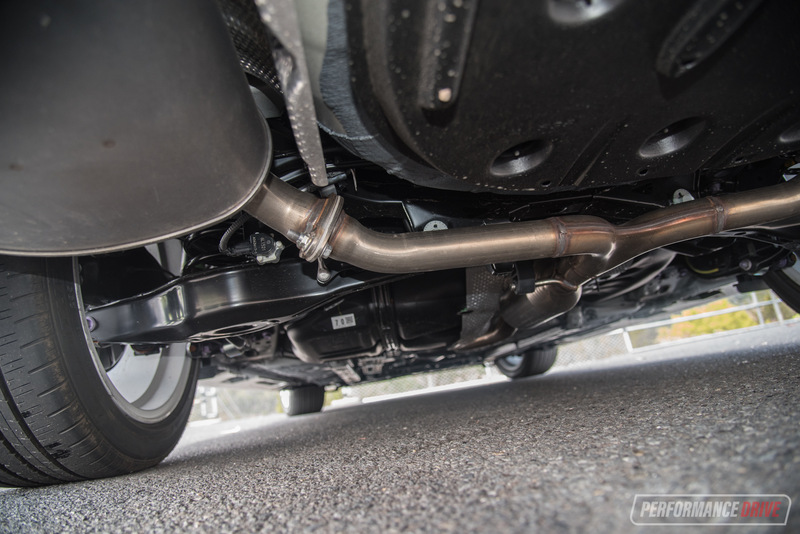 The V6 finally has a chassis that can handle its impressive power outputs, but the trade-off is a slight performance penalty. The extra weight of the new car has all but eaten up the advantage of the updated engine and extra gearbox ratios. Our tested 0-100km/h time of 6.79 seconds and quarter mile of 15.30 compares with the half-a-second-faster Aurion Presara. For intended purpose, this is fine and the 2GR V6 remains a smooth, free-revving and fruity-sounding engine. 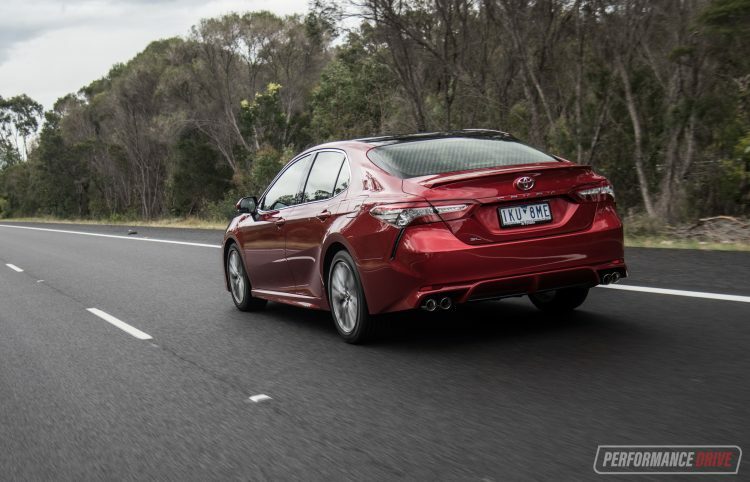 We are so glad its rumoured replacement with the 2.0-turbo 8AR-FTS never came to fruition and are glad Toyota defies this trend. 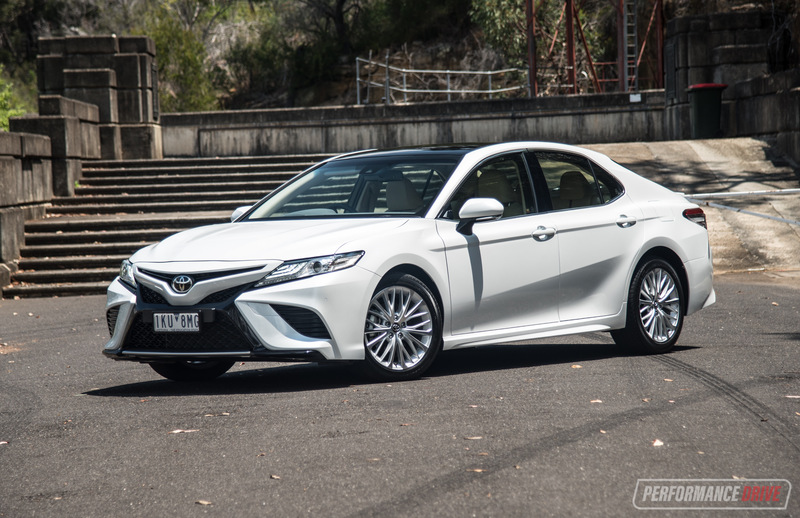 While the V6 is the engine that the Camry deserves, the 2.5-litre is the ghost of mundanity which threatens to haunt the Camry and spoil the package. In execution, not even it can spoil the party, with the Camry’s dynamic, safety and packaging attributes continuing to shine through. 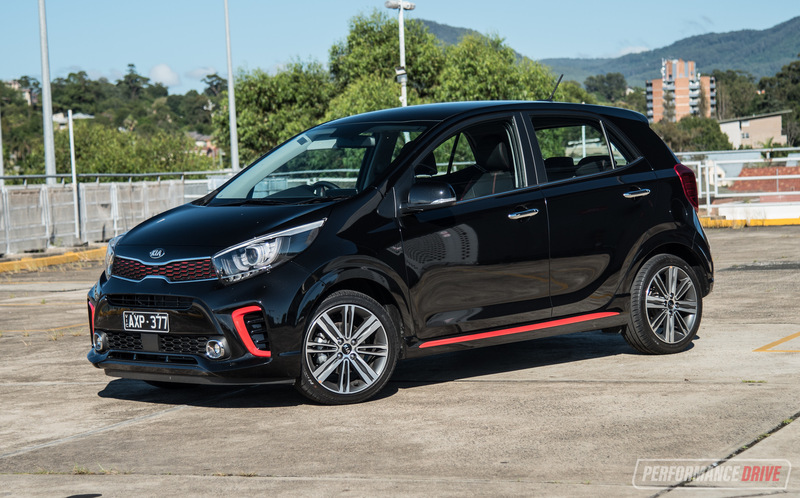 It has just enough torque for daily duties but is reluctant to rev, and it is utterly soulless in the way it sounds. 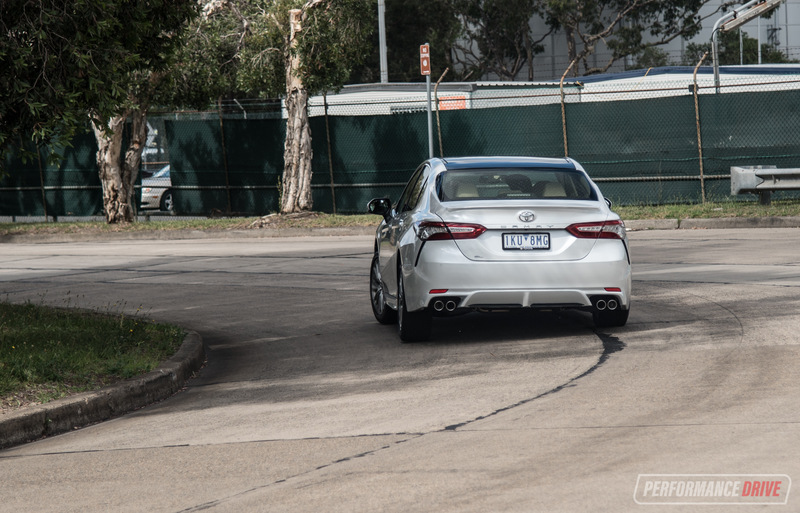 It drags ‘competent’ back into the 2018 Camry’s lexicon after so much groundwork. We clocked 0-100km/h in 10.23 seconds. Fuel consumption is not brilliant, with the V6’s 12.0L/100km on-test effort nowhere near its claimed 8.9L/100km, and the four-cylinder’s 10.9L/100km on-test average not far behind. 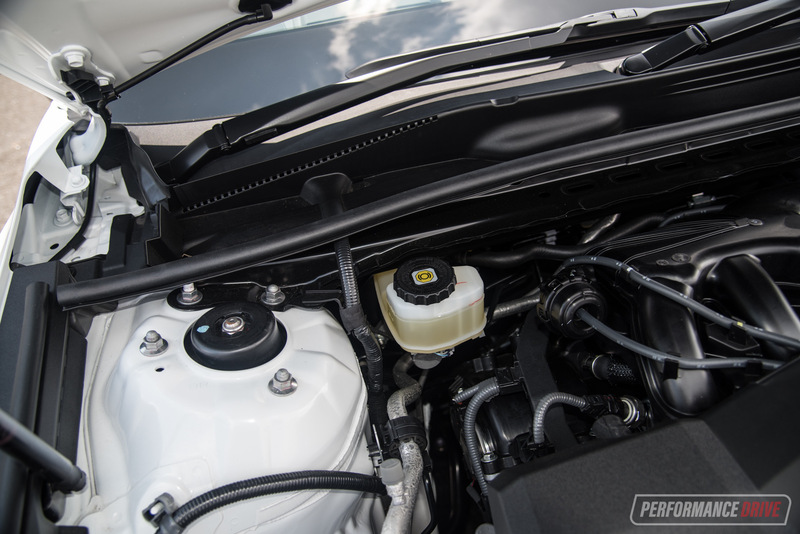 With so little in it, the $4000 dearer V6 is worth the leap, in our opinion. We’re sure after extended use our tested consumption figures could be reduced. 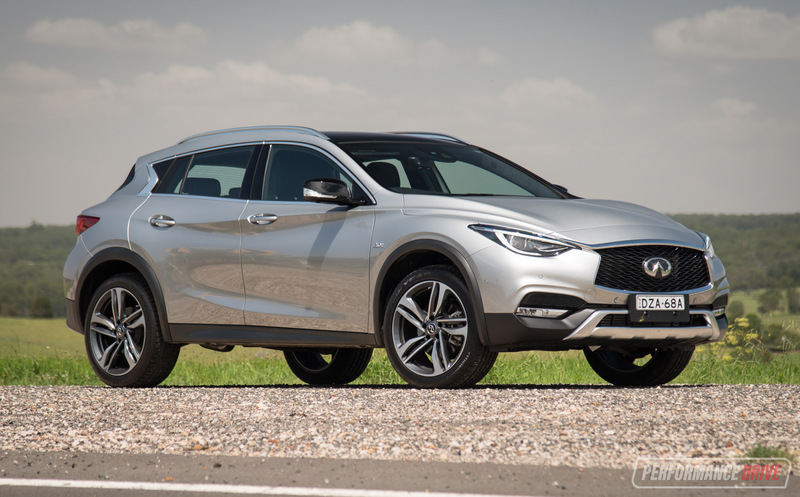 While the overall drive lacks the agility, turn-in and sportiness of a new Mazda6, this would have to be one of the greatest leaps forward of 2017. 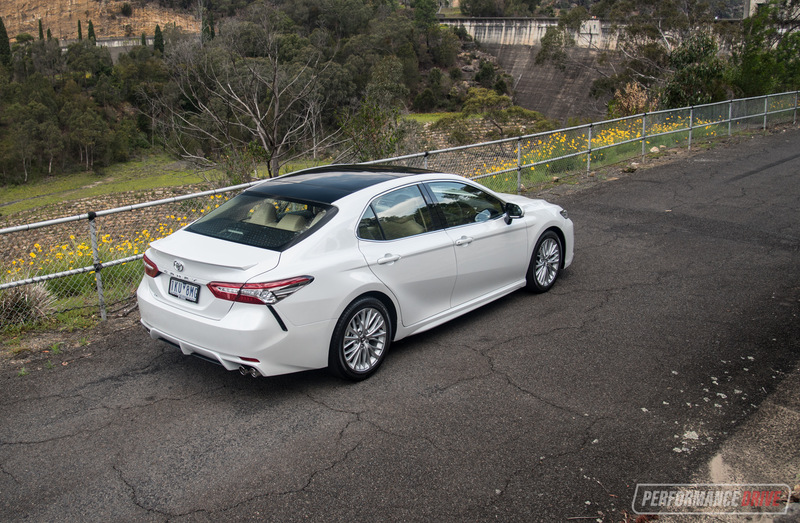 This is a car that changes the very definition of ‘Camry’ and finally banishes the cardigan to the charity bin. 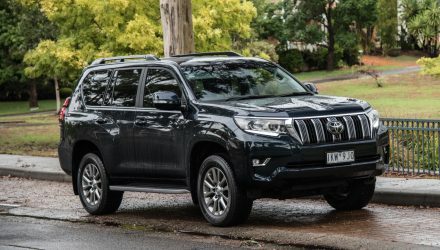 The low entry price of the Ascent is where the somewhat boring 2.5-litre four-cylinder is acceptable but even in SL grade, it brings the Lexus experience downstream. It’s a shame that Nick Hogios’s team at Toyota Style Australia didn’t get the chance to turn this into another Aurion. 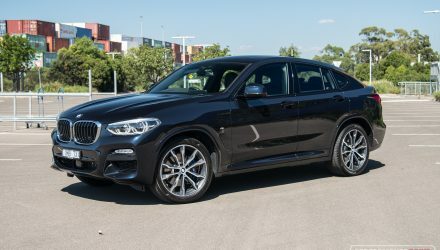 But with any luck, we will soon see more sporting variants of what is easily, in our opinion, now the most well-rounded large sedan money can buy. A commendable effort indeed from Toyota.